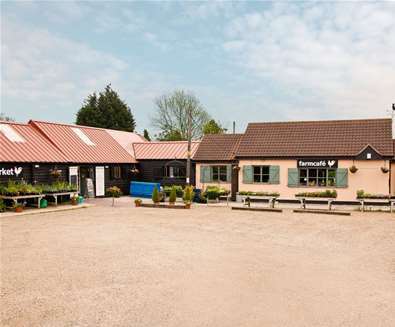 Situated just north of the riverside town of Woodbridge, the Farm Café + Shop at Marlesford serves breakfast from 7am - 11.30am and lunch from 12pm - 4pm. 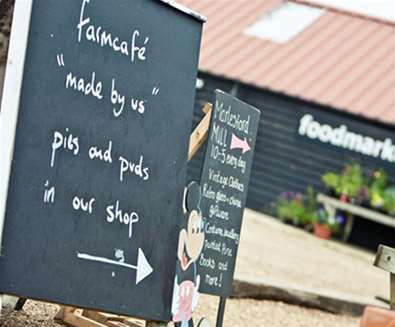 Everything that is served in the café is available from the next door farm shop; including locally grown vegetables, juices, wines and beer plus plants and flowers, and a range of fresh or frozen ready meals made in the café for you to take home! 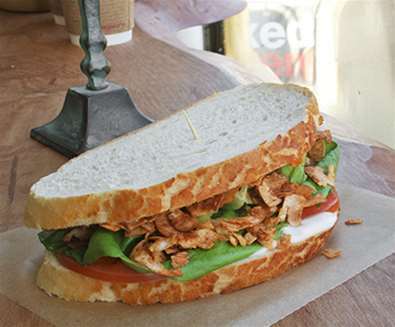 The vegan menu, which is incorporated into the main menu, features dishes such as mushrooms, baked beans or tomatoes on toast, Bonallack Granola and muesli (ask for soya milk when ordering). For lunch, there’s Farm café spiced mixed beans and chickpea burger served in a wholemeal or white Pitta bread with chips and a side salad, vegan sausages, smashed avocado and tomato pitta or baguette, falafel panini and salads including mixed salad leaves, cucumber, beetroot, tomatoes, spicy sweet potato and giant couscous. 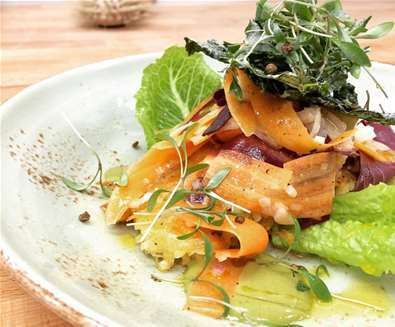 Just a stone’s throw from the golden sands of Pakefield Beach, VeGee Deli @ The Tramway Hotel sells a wide range of vegan-friendly and gluten-free food, made using fresh, seasonal and locally sourced ingredients. Warm up after a walk along the beach with a cup of freshly ground coffee made with dairy-free milk and tuck into a mushroom, tarragon and chestnut “sausage roll”, before stocking up on vegan cheeses, antipasti, pastries and cakes, sandwiches, bread, locally grown vegetables and chutneys. The deli offers a full vegan lunch menu 5 days a week (Tuesday - Saturday from 12pm - 4pm), available to eat in the restaurant or bar, plus a wide selection of vegan wines and gluten-free beers. Previous menus have boasted a mouth-watering selection of vegan dishes, including Spiced Squash Soup, Candied Seeds, Harissa with Ras Al Hanut flatbread and Herb Crusted Peppercorn Lentil & Nut Pate, Orange Relish and Toast for starter; Beetroot and White Bean Burger with Mozzarella, Pickled Slaw and Rosemary Fries and Roast Vegetable and Artichoke Paella with Garlic Bread, Tomato and Red Onion Salad for main; and for dessert, Blackcurrant and Coconut Blancmange with Blackcurrant Compote and Banana Flapjack or Chocolate Brownie Sundae. 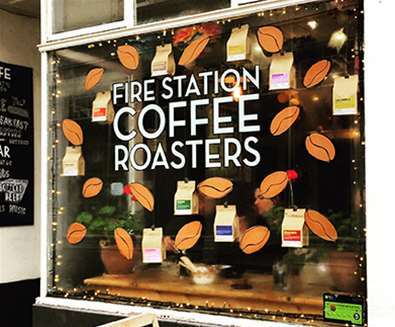 This plant-based café and bakery is situated on North Street in the town and is a social enterprise and community interest company with the profits going towards community gardens and food waste solutions; so you can feel good about your spending as well as your diet! 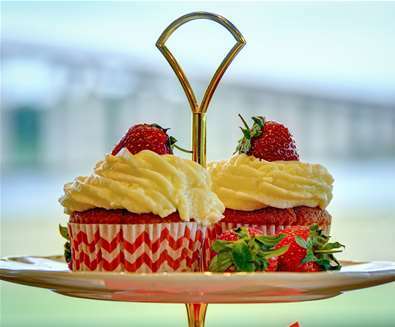 The café is open from 8am - 4pm Wednesday to Saturday and Saturday evenings from 7pm - 11pm for bookings only. Previous dishes on the menu have included Chestnut and Cognac Parfait with Hibiscus, Apple and Onion, Kale and Hazlenut Croquettes with Celeriac Puree and Leeks, Blue and Sweet Potato Gnocchi, Pumpkin Tortellini, Capel Mushrooms, Toasted Walnut and Sage Crust with Blue Potato Skin Crisps and Seville Orange and Chocolate Cheesecake. The eclectic restaurant Edmundo Lounge is situated in the heart of historic Bury St Edmunds. Find yourself a cosy sofa to sit on and choose from the impressive vegan menu. Breakfast picks include the Vegan Breakfast (with falafels, hash browns, baked beans, slow-roasted tomato, sautéed mushrooms, spinach, wood-roasted peppers and toast), Vegan Sweet Potato Waffles with black beans, avocado lime and coriander and Avocado Brunch with lime, chilli, coriander and tomato on toasted ciabatta. For mains, choose from Vegan Falafel and Hummus Ciabatta, Falafel Salad, Butternut Squash, Sweet Potato & Black Bean Rice Bowl, Goan Vegetable Curry and Sweet Potato Falafel Burger. There’s also a selection of cakes on offer including Dark Chocolate & Ginger Torte and Fruity Flapjack, plus a Tapas Menu of Patatas Bravas, Hummus and Sweet Tomato and Chilli Dip. Open Sunday to Thursday from 9am - 11pm and Friday and Saturday from 9am - 12pm. 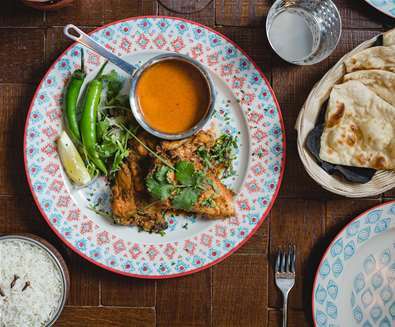 Located in Ipswich’s Butter Market Shopping Centre, Cosy Club is the ideal spot to enjoy lunch whilst shopping, a pre-theatre dinner or late night cocktails. Like other Cosy Clubs (there are now 15 located across the country), the restaurant is inspired by the 1920s with a dark wood bar, golden rails and chandeliers. 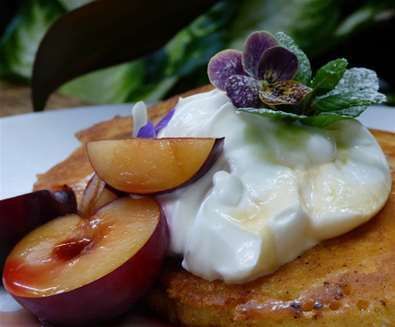 There’s a dedicated vegan breakfast, lunch and dinner menu on offer. For breakfast, choose from the Vegan Breakfast with falafel, grilled tomato, field mushroom, wood-roasted peppers, spinach, fried potatoes and baked beans with toast and Avocado Brunch with lime, chilli, coriander and tomato on toasted Puccia Bread. 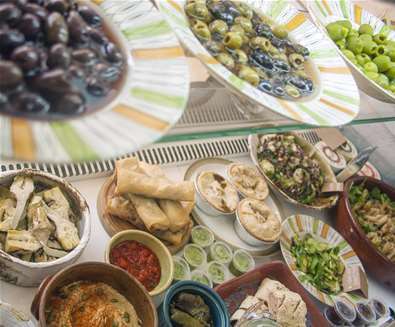 For mains, there’s a range of sandwiches including Falafel, Hummus and Avocado and Hummus & Roasted Red Peppers Panini; tapas dishes Patatas Bravas, Garlic Mushrooms and Thai Veggie Burger, The Empire Curry, Courgette, Pea & Edamame Bean Risotto and Moroccan Tabbouleh. You needn’t miss out on pudding either as there’s Marshfield Farm Sorbet and Dark Chocolate & Ginger Torte to choose from. Located in the heart of the Suffolk countryside in Great Brickett, the Red Lion is a vegetarian pub. Recently taken over by new owners, there’s a new menu coming in January 2018, but previous menus offer a range of vegan dishes too. Previous dishes on offer have included starters of Hummus Platter and the Soup of the Day and main courses of Seitan and Mixed Vegetable Stir Fry, Smokey Butternut Squash and Chickpea Tagine and Wild Mushroom Ravioli. 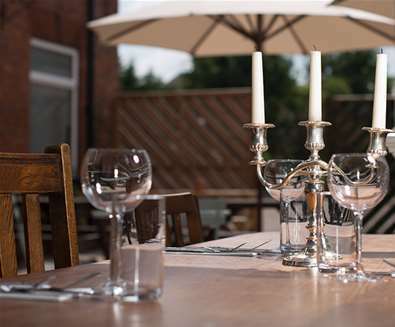 The previous owners of The Red Lion have taken over The Walnut Tree at Thwaite and offer an extensive vegetarian and vegan menu. The pub is a Grade II listed restaurant with comfy sofas and open fires for chilly winter evenings and an enclosed beer garden for the warmer months. It’s dog-friendly too, so the ideal spot for a post-walk dinner. On the menu there's Mushroom, Thyme, Walnut and Cognac Pate, Gado Gado (an Indonesian salad with cucumber, beansprouts, white radish with a peanut dressing), and Chickpea ‘Crab’ Cakes for starter. For your main course, tuck into Sweet Potato, Peanut & Apple Burger, Parsnip, Pistachio, Chestnut and Wild Rice Roast and Smoked Almond Tofu Laska to name but a few. Finish your meal with a sweet treat of Strawberry Pimms Summer Pudding, Pear, Blackberry & Hazelnut Crumble and a selection of sorbets. Young vegans are catered for too, with Quorn Chicken Nuggets and Chips, Veggie Sausages and Homemade Hummus. 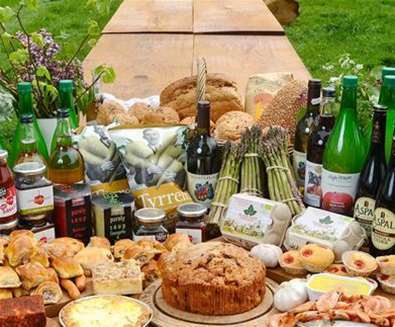 Click here for more food & drink inspiration from The Suffolk Coast! 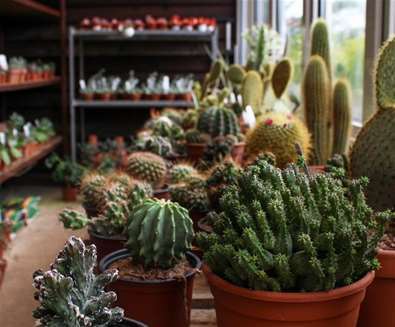 An amazing selection of Cacti with workshops and individual events. 100s of brightly coloured chillies, of all shapes, sizes and heat. Chilli inspired dishes and cocktails. 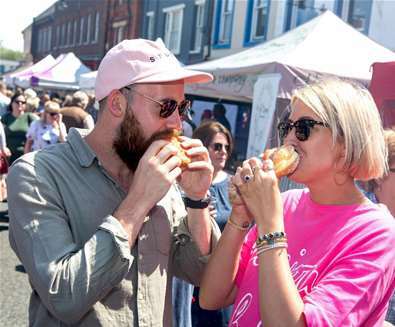 Beccles town centre will be once more transformed into a delight of mouth watering food to tantalise the taste buds with the return of this annual one day Festival. The Café at Urban Jungle is quite unlike any other cafe you’ve ever been to. The food is bold, colourful and tasty, just like the surroundings! Filled with luxuriant plants which will whisk you away to the tropics. Located at Lowestoft’s The Tramway Hotel MarkG Seafood Restaurant and Bar opened its doors in the winter of 2015 and has not looked back! 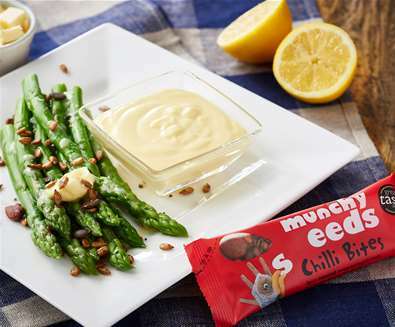 Munchy Seeds is a family run business based in Suffolk and has been the highest profile brand in the UK's roasted, flavoured and coated seeds market for 16 years. 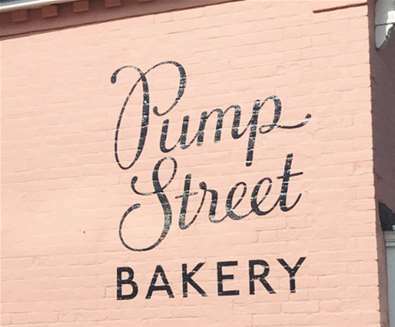 Pump Street Bakery is a small, family owned bakery and cafe in the village of Orford on Suffolk's Heritage Coast. ‘Your taste buds won’t regret it’ - EDP review October, 2017. 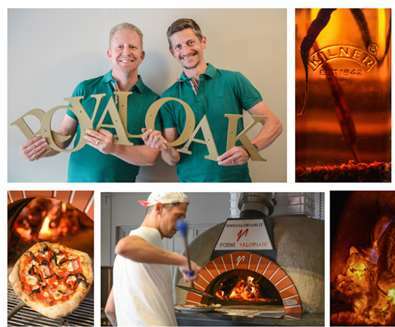 Award winning bar and restaurant in Beccles serving authentic Neapolitan pizza cooked in front of you from their wood fired oven. 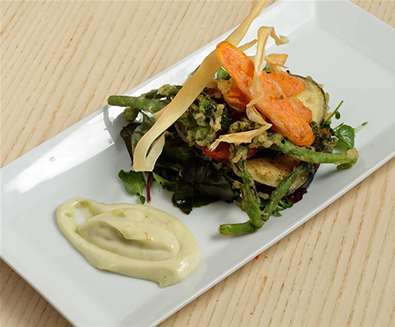 VeGee's mission is to provide a generous selection of vegan-friendly and gluten-free food, using seasonal vegetables and locally sourced, fair trade produce. 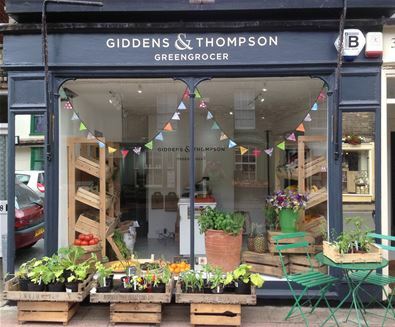 It’s not just a niche or specialist place to buy food from; there's something for everyone to enjoy!